When you are on the Show Circuit, you need to have your saddles and tack at your finger tips, ready to go. With our Ultimate Double Saddle Box this is never a problem. 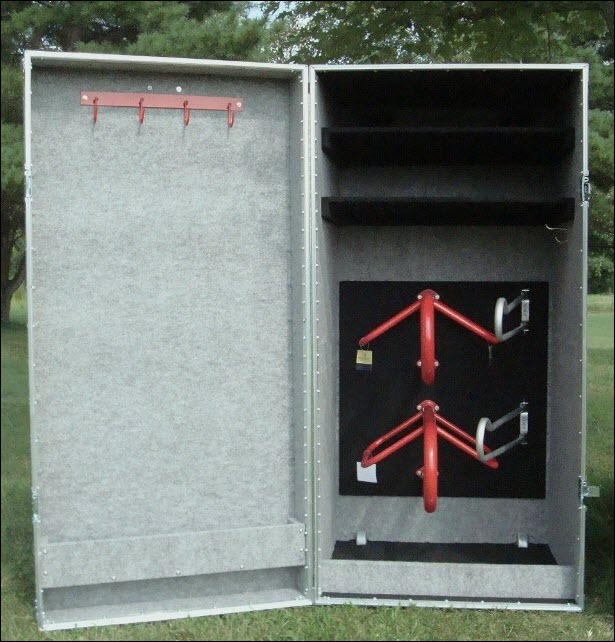 All of our Tack & Saddle Boxes are designed to protect your leather and silver from mildew and tarnishing by providing a moisture free ozite interior. 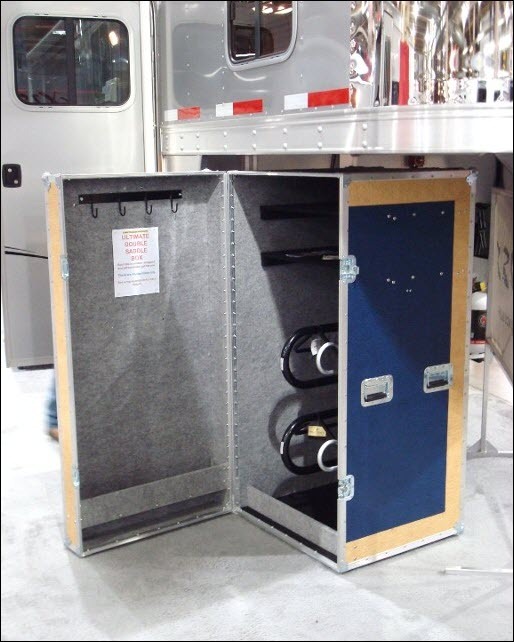 We keep your equipment safe with a pair of recessed padlocking latches on the exterior door of this Saddle Box. On the interior of the door, there is a bridle rack to hold four bridles, with reins attached, that will eliminate bends and folds in the leather. On the bottom of the door is a raised shelf / compartment to store any of your cleaning essentials and grooming tack. The interior of the box itself, starting at the top, has two full shelves. 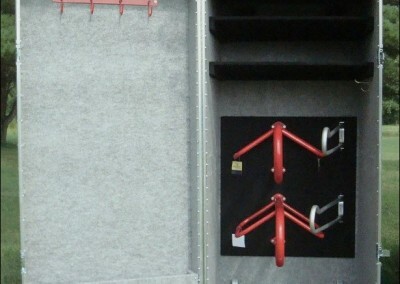 Directly below them are two mounted saddle racks (powder coated & painted metal). 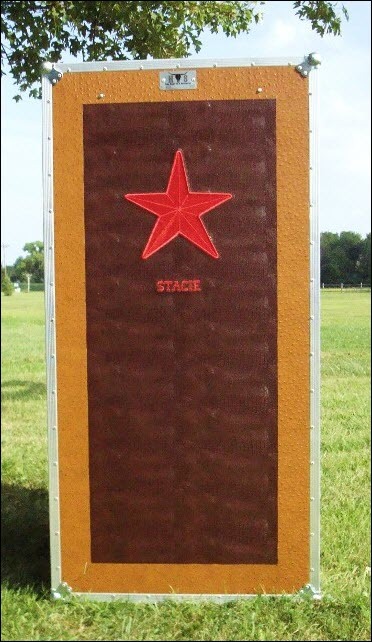 To the side of the mounted saddle racks are two mounted saddle pad racks that are able to swing side-to-side (metal). 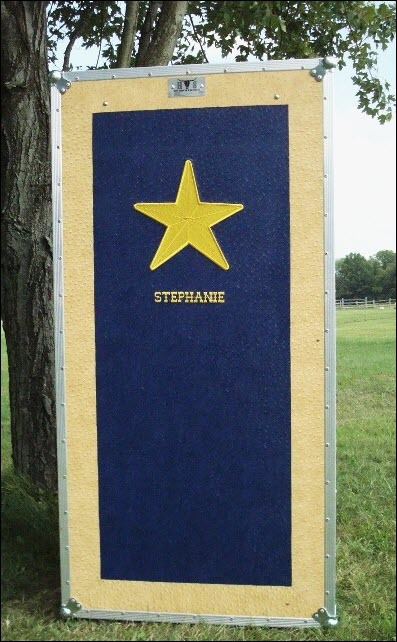 Next to the mounted saddle pad racks is an attached clothing hook large enough to hold a garment bag with your show clothes for the day. On the floor of the box is a divider board in front, to keep items safe and intact. A great place for boots and hat boxes. 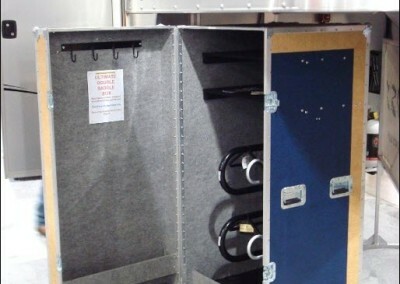 The exterior of the Ultimate Double Saddle Box exceeds all expectations of the highest quality craftsmanship, of any similar product on the market today. 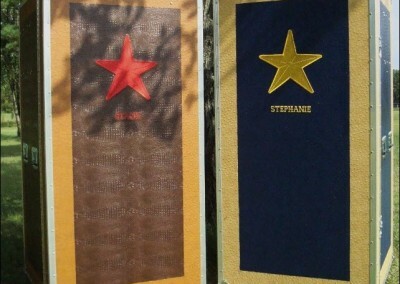 This box is available in all three of our exterior coverings. Price will vary depending on style of box, but no price change will occur when you choose your exterior covering for that style box. 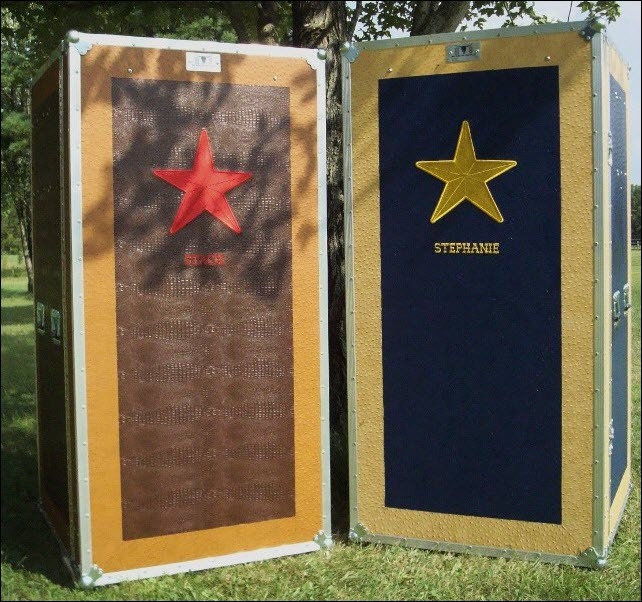 When we designed the Ultimate Double Saddle Box, no corners were cut, durability and luxury were our goals that were met and surpassed.